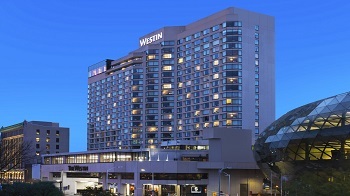 A block of guest rooms has been reserved at a discounted group rate of $249/night, plus applicable taxes, for single/double occupancy of a 'Traditional' category room at the Westin Ottawa Hotel. Discounted group rates will also be offered three days prior and three days post the Till & McCulloch Meetings dates, upon availability of guest room at the time of reservation. The hotel cut-off date to book guest rooms is Friday October 5, 2018, at 5:00 PM Eastern Time. 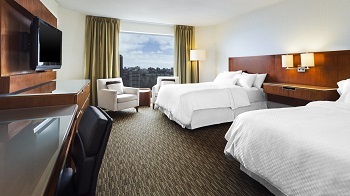 To reserve your guest room, call the Westin Ottawa Hotel at 613-560-7000. Make sure you identify yourself as part of the Till & McCulloch Meetings group in order to receive the discounted room rate. Alternatively, you may book online using the dedicated booking facility available HERE. The guest room reservations team at the Westin Ottawa Hotel has requested that when you call them to book your two-bed guest room for sharing with a room-mate, please advise the hotel representative to book the reservation as ‘sharewith’, instead of referencing ‘room-mate’. This way their system will automatically split up the room rate 50/50, so that you and your room-mate are each billed 50% of the cost of the room. It would also be helpful if you could provide the hotel with the name of the person you’ll be sharing your room with, at some point before the check-in date.